Plan 2016 with BDJ Planners! * | Vanity and Everything in Between. It's just 50 days to go before the first day of 2016! I'm looking forward to 2016 because it will be an exciting [but tough] one. I'm excited about the brands this blog will be collaborating with. When it comes to corporate life, I'm excited for the 2016 strategy and I'm having a new boss. For my personal life, hopefully more travels! Totoo ito, girls. Hindi pa uso ang planner, gumagamit na ako ng planner! From Lisa Frank to Trapper Keeper to Mead to Starbucks to BDJ. I've been using a planner since middle school as influenced by my aunt. Since I didn't know the core of using a planner back then, I used it for doodling. I also filled it with what seemed like endless NeoPrints! I also used it as an excuse to buy cute-sy stickers and coloured gel pens. It wasn't until I started working that I took it seriously. I slowly but surely missed several birthday parties, events, and what nots because I was kaladkarin during my younger years! You know that feeling [when you were 21-23] that you can do everything even with only 2-3 hours of sleep? That's what I'm talking about. You know what though, my planner has always been bland. Filofax can never be as girly as I want it to be even if I bombard it with girly stickers. There was just something missing. Starbucks planners are for unisex - 'nuff said. 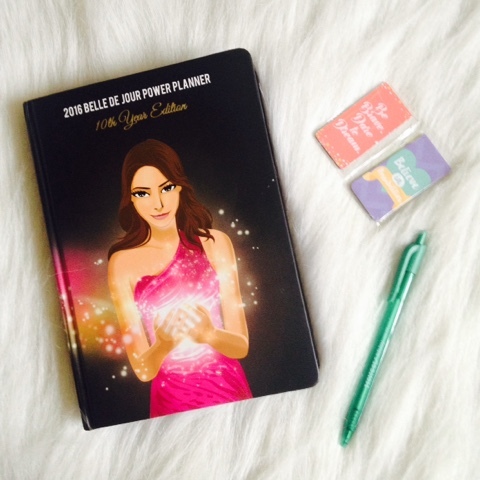 Then there came BDJ Planner. My view on planners has never been the same! 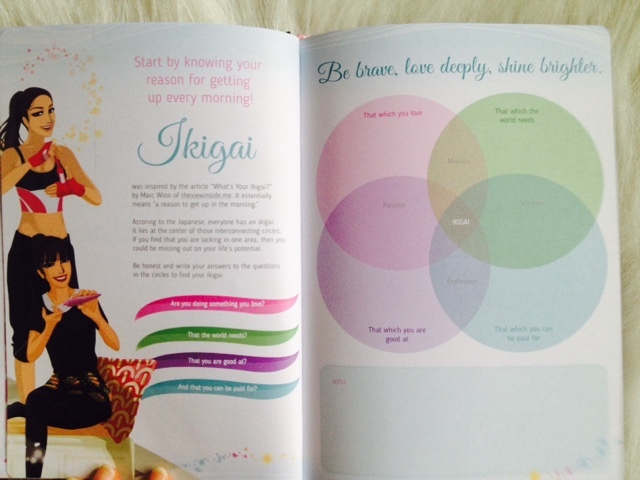 Let's start off with the Belle De Jour Planner. I admit that I'm a later bloomer when it comes to BDJ planner. I've only known about it in 2009 [if I remember correctly]. 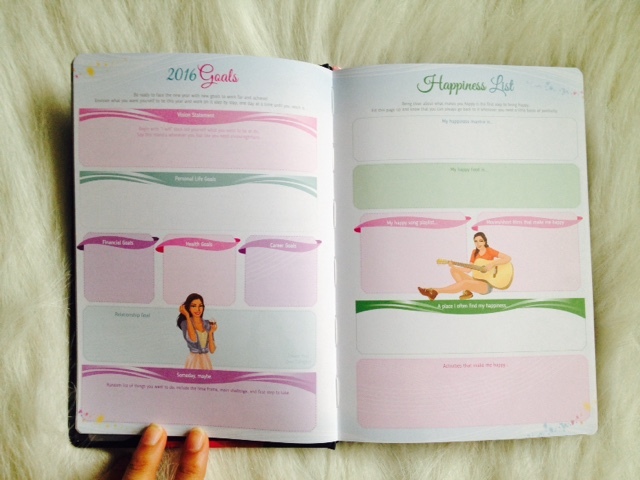 What drawn me to this planner is the image of the Bella that is reminiscent of Hed Kandi ladies. And I love Hed Kandi! At 30, I'm still a certified BDJ Girl! How about you? 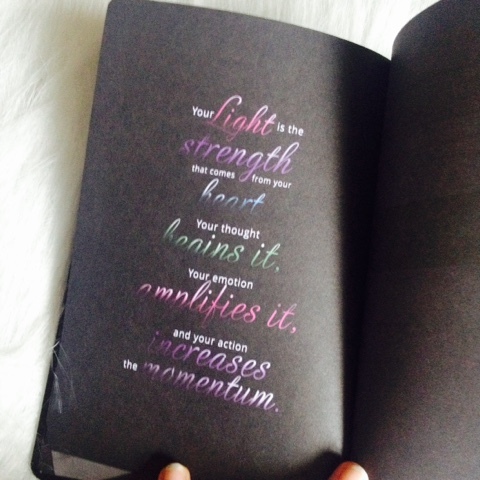 Its pages have inspirational quotes that helps you get going. Feeling down? 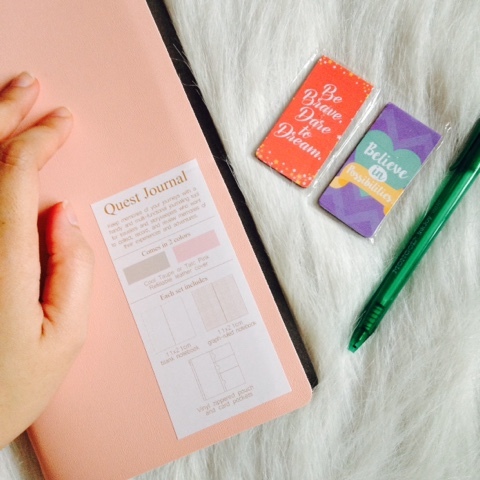 Just browse your BDJ planner and you'll feel good afterwards. Proven and tested! 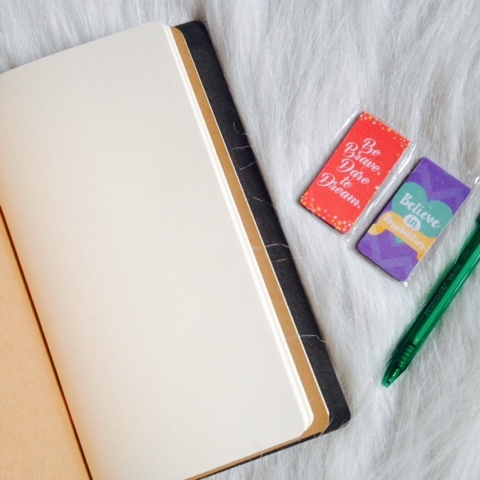 If you are forgetful like me, jot down your 2016 goals. 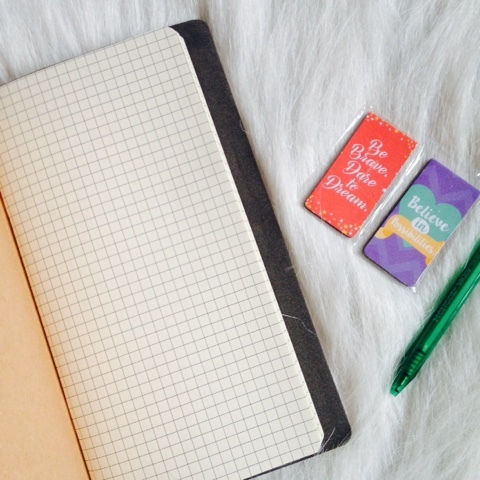 If you don't want to forget what made you happy or what makes you happy, jot it down on the Happiness List! 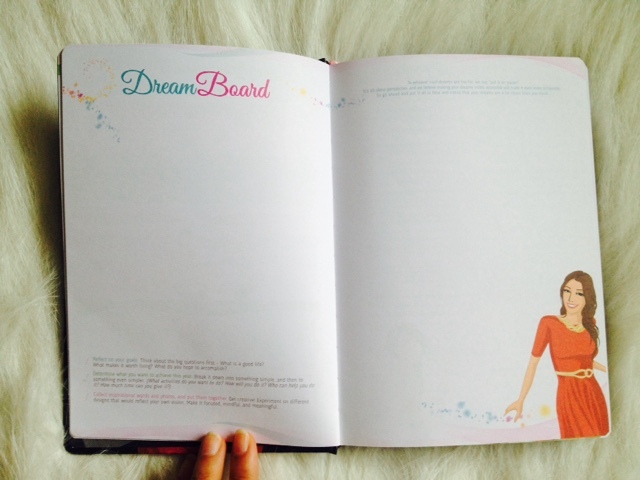 I need this dream board because I always have a dream within a dream. I doze off and experience REM sleep in a jiffy but for some odd reason, I remember my dreams most of the time! Your dream could be a pigment of something good that is about to happen to you! Jot it down! BDJ Planner has always had this list. 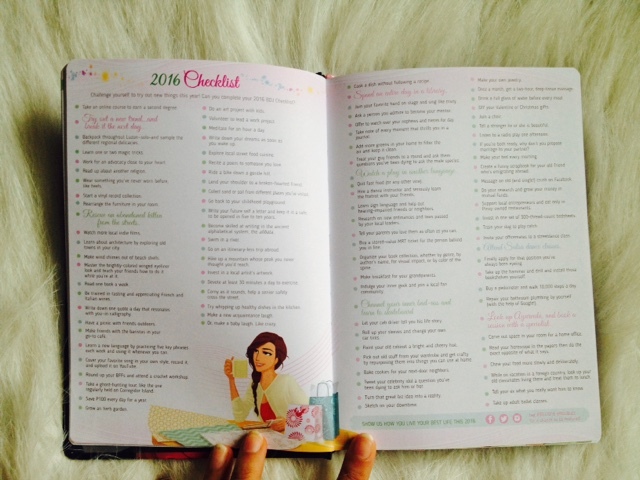 100 things you can do in 2016. I haven't done all. I don't even think I've done half of what's in the list. But it's a good motivation to try something new. In case you are subscribed to BDJ Box, they now have a tracker! Not sure if this list was in the 2015 planner as I got a different BDJ Planner [the Navi planner, ahem ahem] so this is something new to me! 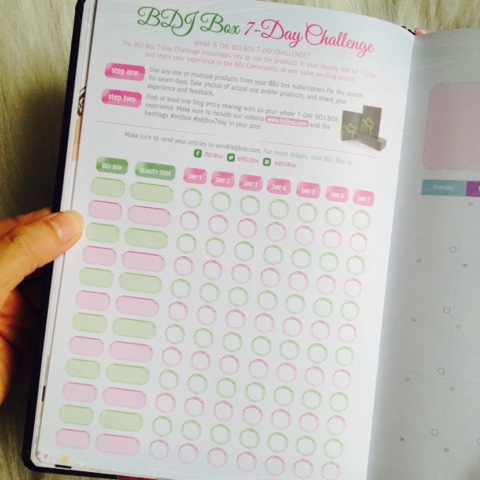 This is a good way of keeping track of the 7-day challenge and this helps you to be more committed to the product! Of course, monthly Bella and her advices. Such a great way to uplift our confidence! I'm glad BDJ planner now has a bookmark that isn't a lace-type! The bookmark is magnetic and can be used on your books, too! 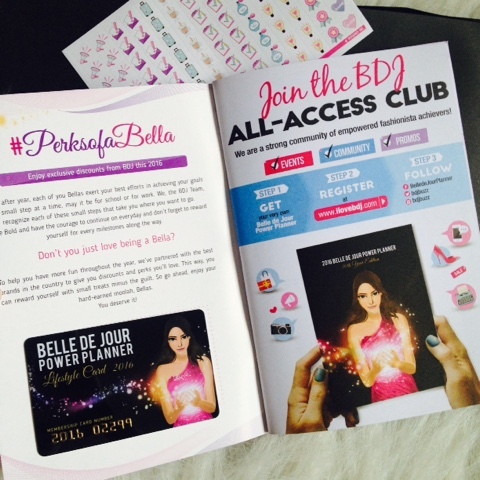 And of course, what's a BDJ planner without the BDJ Planner Lifestyle Card and coupons! 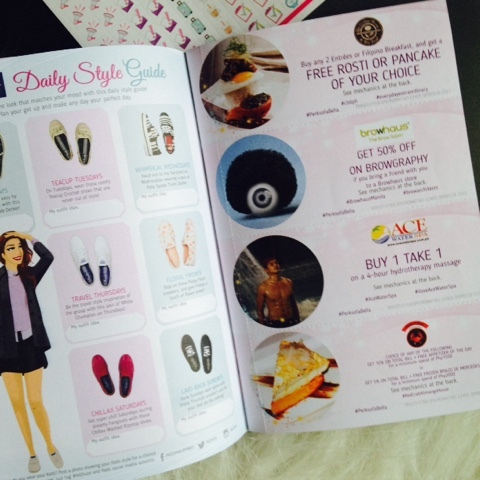 Over PhP40,000 worth of coupons in the booklet! Yes, sosyal that the coupons are now in a booklet form! Will definitely use that Browhaus coupon this January! The coupon booklet is found at the end of the planner. It's tucked on the back pocket together with a one-pager set of stickers that you can stick on the pages. BDJ also released several new items that still involves planning. Let's call it BDJ Stationery, though. Another planner I got is their desktop planner. A what? 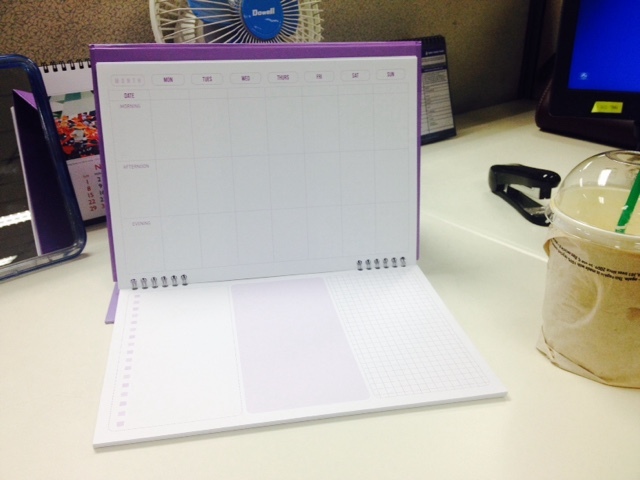 Yes, a desktop planner! It's like BDJ has heard my prayers! On an annual basis, I use about 3 notebook planners, 1 desktop calendar, and a monthly desk calendar. I'm really busy during office hours that I can't afford to forget the date of the day. I have an L-shaped office desk. This is why I have to make sure that when I look to my sides [left and right], I'd know what day it is. I sometimes put the monthly desk calendar under my keyboard in case I need to jot down something. 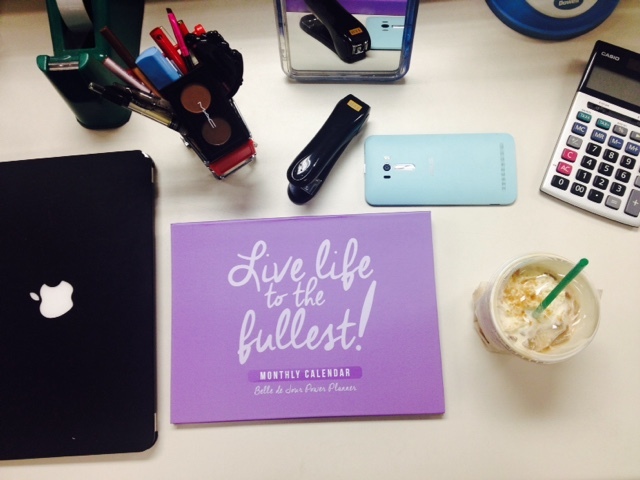 Here is what my office desk looks like - with the 2016 BDJ Desktop planner! What I love about this desktop planner is that it isn't dated! You have full control on this. It also has more than 20 pages so you can use this for 2 years or more. 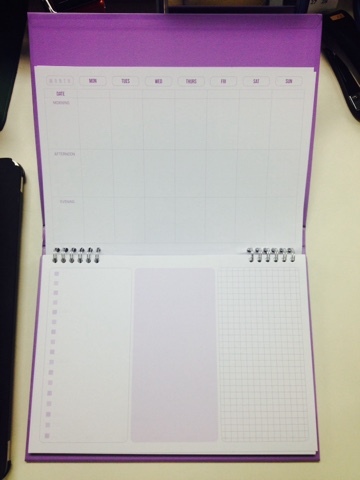 The top page can be used as a calendar and the bottom page can be used to jot down notes. It's like hitting 2 birds with one stone. This is perfect for my office table. Size-wise, it's way bigger than my desktop calendar [at the back] but it's the same size as my monthly calendar that I also use for jotting down notes. I say this is perfect for working Bellas! Apart from their planners, BDJ has also come up with notebooks. It is obvious that I love to blog. I love to write random things - more of like having a diary. I've outgrown having an actual diary. I turned it to what seems like a Quest notebook. I have a small Moleskine notebook that has travel tips. I write down the must-visit restaurants and coffee shops. I also write down new things I find out when exploring new and old cities. When I saw the roster of new BDJ items, I knew I have to have their Quest Journal. 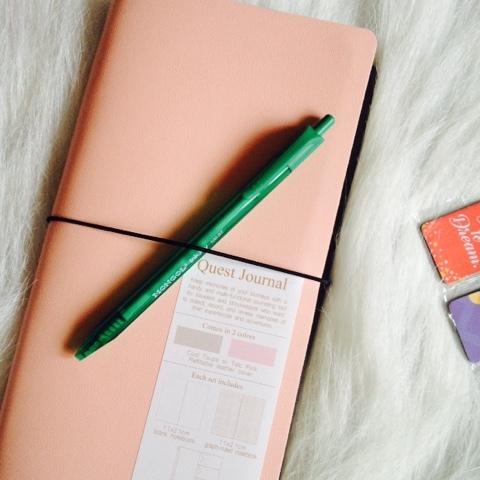 The Quest Journal comes in two colours - Cool Taupe and Talc Pink. Both colours are feminine but the taupe one can also be used by men. It has two notebooks inside with 64 pages each. 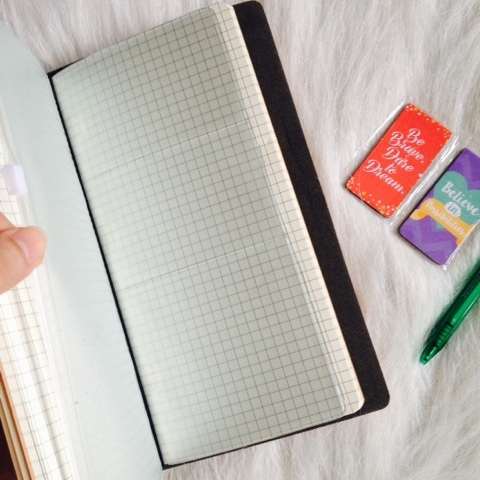 You can choose between plain or grid notebooks. It also comes with a vinyl zippered pouch and plastic card pockets for cards, receipts, coins or notes. It's got an elastic cord lock so it's stays safe inside your [messy] bag! 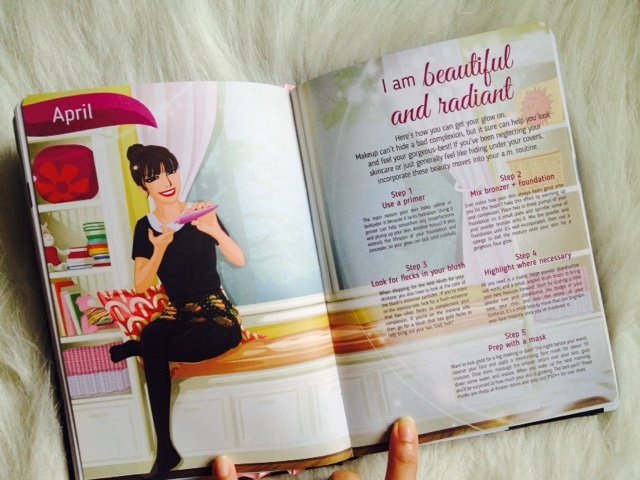 Here's a glimpse of the other products BDJ came up with! Visit ilovebdj.com to place an order or you can visit them at their Pop-up stores [check BDJ's Instagram or Facebook where the next pop-up store is]. Everything will be available at the upcoming BDJ Fair on November 29 at SM MOA! 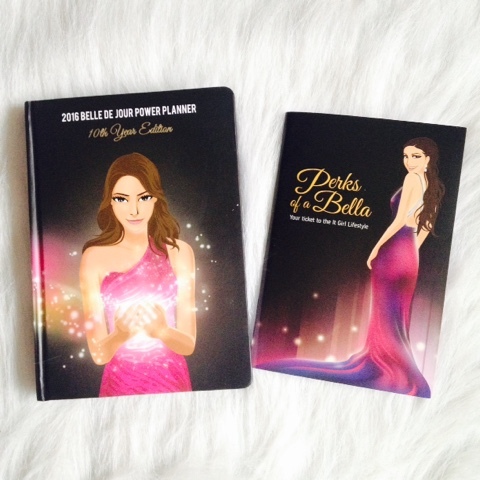 * this post is brought to you by Belle De Jour Planner.